How cute is this wedding dress?! 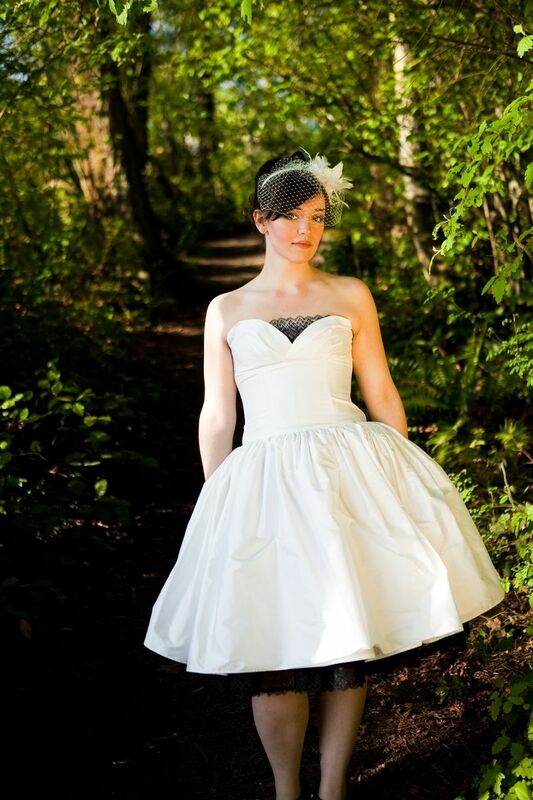 It's a retro 50's style tea length wedding dress with black lace accents and black buttons. This dress is especially flattering with a sweetheart neckline and natural waistline with pleats. 100% silk in a very light ivory. This would also make for a great reception dress, party dress or rehearsal dinner dress!